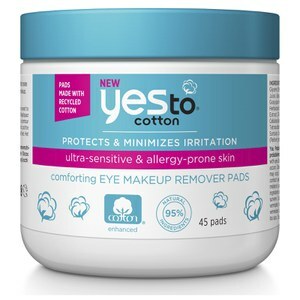 Experience a refreshing and moisturising cleanse with the Yes To Coconut Cleansing Wipes, a pack of versatile wipes that work to cleanse and nourish the face, body and hands. 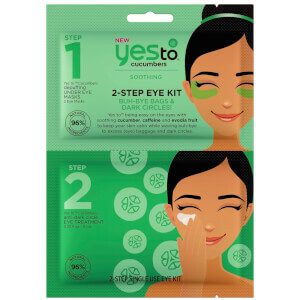 Safe to use from head to toe, the cleansing wipes are infused with Coconut Water and Kukui Nut extract to gently swipe away dirt and makeup, and are clinically proven to relieve dry skin. Sealing in moisture to keep skin soft and comfortable, the wipes will leave you feeling refreshed and purified from top to bottom. 96% Natural. Paraben, SLS, phthalates and cruelty-free. Sacar una toallita y limpiar suavemente para retirar la suciedad del rostro, las manos y el cuerpo. Water (Aqua), Polyglycerl-4 Caprate, Cocos Nucifera Oil*, Cocos Nucifera Water, Glycerin, Xanthan Gum, Caprylyl/Capryl Glucoside, Helianthus Annuus Seed Oil, Musa Sapientum Fruit Extract, Psidium Guajava Fruit Extract, Orchis Mascula Flower Extract, Aleurites Moluccana Seed Extract, Hibiscus Sabdariffa Flower Extract, Morinda Citrifolia Fruit Extract, Dicaprylyl Carbonate, Tocopherol, Benzoic Acid, Phenoxyethanol, Sodium Benzoate, Dehydroacetic Acid, Fragrance (Parfum).